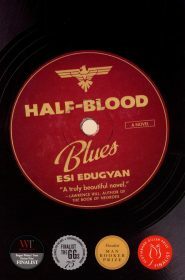 Esi Edugyan’s Half-Blood Blues begins in 1940 Nazi-occupied Paris where two jazz musicians, a light-skinned African American bass player, Sid, and an Afro-German trumpeter, Hiero, are sneaking through the streets late at night trying to find a glass of milk. It turned out to be a very expensive, nightmarish glass of milk. There weren’t many Germans of African descent in Germany leading up to WWII, so it was easy to take their papers, making them stateless. This is why walking through a Nazi-occupied Paris late at night wasn’t the best of ideas. Nazis didn’t like black people either. Hiero is captured, never heard from again and assumed dead, while Sid narrowly escapes. 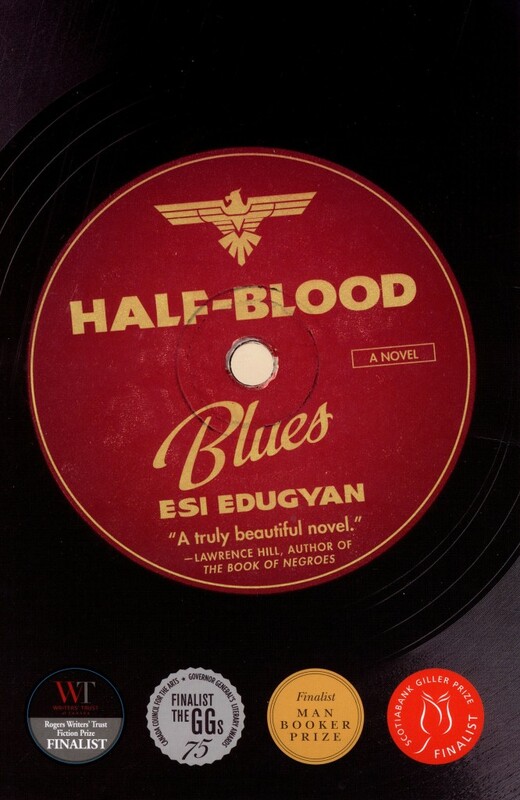 Half-Blood Blues then jumps to 1992 with an aging Sid who gets told that Hiero may not be dead. The rest of the story continues to jump between the beginning of WWII and the 1990s with Sid as our storyteller and we find out what happened on that night in Paris and the days leading up to it. We usually went all of nowhere in the daytime. Never without Delilah, never the same route twice, and not ever into Rue des Saussaies or Avenue Foch. But Hiero, he grown reckless as the occupation deepened. He was a Mischling, a half-breed, but so dark no soul ever like to guess his mama a white Rhinelander. Hell, his skin glistened like pure oil. But he German-born, sure. And if his face wasn’t of the Fatherland, just bout everything else bout him rooted him there right good. And add to this the fact that he didn’t have no identity papers right now — well let’s just say wasn’t no cakewalk for him. Me? 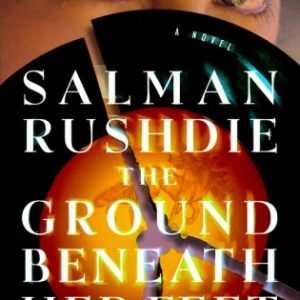 I was American, and so light-skinned folks often took me for white. Son of two Baltimore quadroons, I come out straight-haired, green-eyed, a right little Spaniard. In Baltimore this given me a softer ride than some. I be lying if I said it ain’t back in Berlin, too. When we gone out together in that city, any Kraut approaching us always come straight to me. When Hiero’d cut in with his native German, well, the gent would damn near die of surprise. Most ain’t liked it, though. A savage talking like he civilized. You’d see that old glint in their eye, like a knife turning. This is just so incredibly believable and realistic. We get to know Sid so well and feel the emotions he goes through in WWII as well as the 1990s. Sid takes us on a journey where we learn about the jazz band he and Hiero were in, the Hot-Time Swingers, and we’re introduced to other band members, an oddly beautiful female jazz singer, and the king of jazz himself, Louis Armstrong. Throughout the tale we find out why and how they moved from Berlin to Paris, what happened to them in Paris, and the torment older Sid has gone through his whole life. 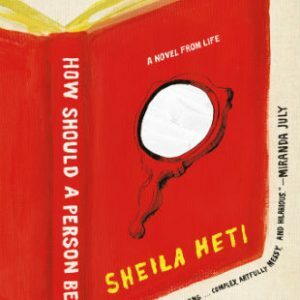 This novel is about jazz and about the black experience in Nazi-occupied Europe, but it’s also about friendship, jealousy, anger, regret, and forgiveness, and I could feel all of it as if it happened to me. I was scared, nervous, and anxious and by the end I was so incredibly moved and I may have had a tear in my eye. Esi Eduygan has gained a fan for life.